While most of us are used to monitors ranging in 24-inches to 30 or even 32-inches in size, once you step up to Ultra-HD, there is more benefit to having an even larger display hooked up to your PC. 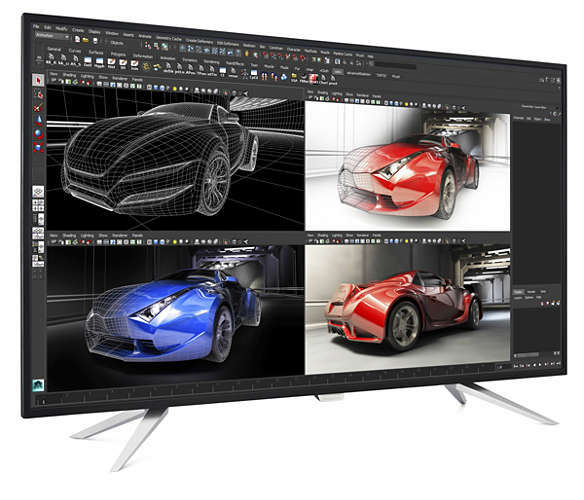 This is where Philips comes in, with its new 43-inch PC monitor, offering 4K Ultra-HD resolution and promising excellent colour accuracy. The new BDM4350UC Philips display uses high performance panels to deliver UltraClear 4K UHD images: at 3840 x 2160 pixels. With 43 inches of 4K UHD screen space available, there is plenty of room to work on multiple windows and applications side-by-side. Philips also has a feature known as MultiView, which allows you to display four separate 1080p video sources on the screen at once. This is an IPS screen, which ensures colour accuracy and wider viewing angles compared to TN. It also offers a 60Hz refresh rate and multiple connections including HDMI 2.0, DisplayPort and MHL for streaming from a mobile device. Unfortunately the monitor lacks Freesync. Panel size 42.51 inches / 108 cm. 3840 x 2160 @ 60 Hz. Viewing angle: 178º (H) / 178° (V), @ C/R > 20. Brightness uniformity: 96% ~ 105%. MMD, the leading technology company and brand license partner for Philips Monitors, announces a new addition to the line-up of Philips 4K Ultra HD displays. 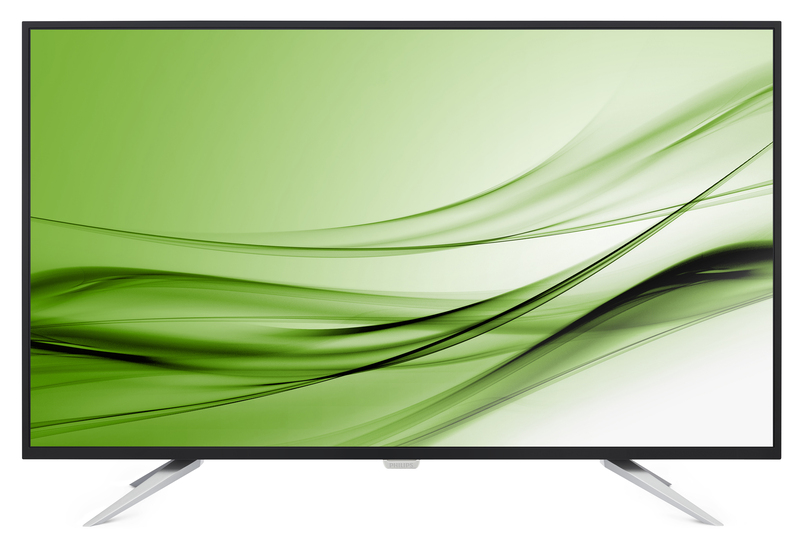 At 43 inches, the latest display is the largest in the range to date, and delivers the same brilliant 4K UHD viewing experience, detail and precision as its siblings. This extra-large desktop provides professionals with more space than ever to work. With MultiView 4K support, it is also possible to stream input from four different sources simultaneously without compromising on the sense of space that a display of this size creates on the desktop. The new BDM4350UC Philips display uses high performance panels to deliver UltraClear 4K UHD images: at 3840 x 2160 pixels, this is four times the resolution of Full HD, and four times the clarity. The display makes images and graphics come alive, whatever the application. CAD engineers can zoom in on the fine detail of intricate designs. In geo-exploration, the scientific images are presented with more clarity than ever. Financial experts pulling together data into vast, complex spreadsheets can keep everything in view without having to decipher miniature cells. And creative professionals will also appreciate the ultrafine detail and generous screen space provided by this superb display. “The latest addition to the 4K line-up testifies to the ongoing commitment of Philips and MMD to making the viewing experience more productive and brilliant than ever. With this 43-inch display on their desk, users have more space to enjoy the clarity and brilliance of the 4K UHD viewing experience,” comments Albert Ulfman, Product Manager Philips monitors Europe at MMD. No matter whether people are working alone or wish to get half a dozen colleagues round the table to collaborate on a task, everyone has a great view of the screen. The advanced panel technology ensures details and colours stay true from any viewing angle, even almost side-on. For an even wider perspective, the ultra-narrow bezel design makes it possible to line up two 43-inch displays side-by-side, creating a huge wide panorama without the distraction of physical bezels. With 43 inches of 4K UHD screen space available, there is plenty of room to work on multiple windows and applications side-by-side. Ideal for situations when information has to be viewed and processed simultaneously from multiple sources, the MultiView feature enables users to stream input from up to four systems, and show four Full HD windows on the screen at one time. The Picture-by-Picture (PbP) feature provides a vital overview of data in control centres – traffic and weather monitoring, for instance, air traffic control and facility security. Four camera streams from different sources can be monitored on one and the same screen. In the office, team members can view content from four notebooks, delivering greater ease and productivity for team meetings with input from multiple sources under discussion. Others might prefer to combine work with pleasure – with Picture-in-Picture mode (PiP), which supports two devices, users can keep tabs e.g. on a live football feed from a set-top box, while working on the PC. With a range of connectivity options including HDMI, DisplayPort and MHL for streaming from mobile devices (while charging the device at the same time), the new 43-inch 4K Ultra HD display is engineered to offer freedom of choice for both work and leisure use. Super-speed USB 3.0 (at 5.0 Gbit/s, the transfer rate is around 10 times faster than USB 2.0) enables users to experience their content in 4K Ultra HD brilliance at 60Hz on the 43-inch screen. 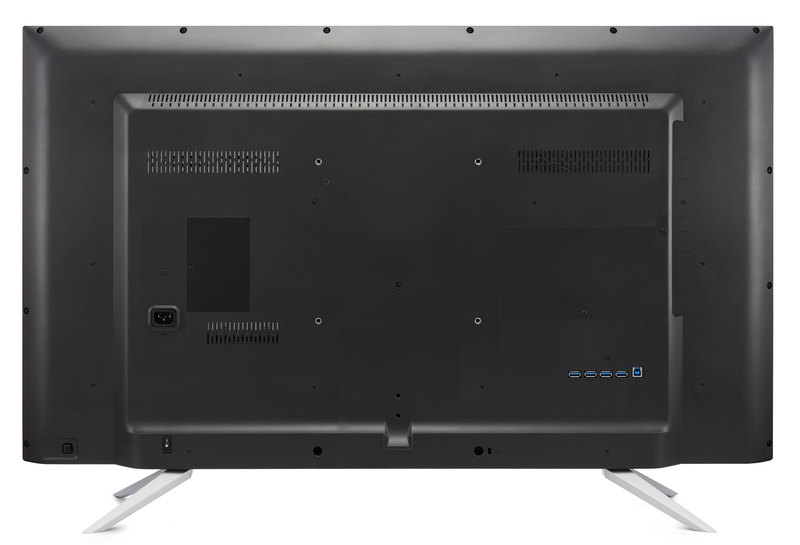 The new Philips 43-inch BDM4350UC display will be available in the beginning of May at a recommended retail price of £1169,99.